Knoxville Landscaping Company is the premier provider of all landscaping services and lawn care services in and around Knoxville, TN. Here at Knoxville Landscaping Company we go out of our way to make sure you the client are happy 100% of the time. Knoxville Landscaping Company has provided the premier landscaping, yard maintenance, tree trimming and general yard care for past decade. Knoxville Landscaping Company was founded on with one goal in mind-to provide the community with the premier full range landscaping service in the greater Knoxville area. With that belief we have been able to grow from a small two person operation into a fully staffed landscaping company. With the growth we are able to take care of almost any landscaping issue you may have. Here is a list of some of the landscaping services provided by Knoxville Landscaping Company. ​If you don't see what you are looking for in the list above. Don't fret, we more than likely have the knowledge as well as the ability to take care of your landscaping need. You will be provided written estimate detailing what will be done. You don't have to worry about what exactly is going to be done and how much is this going to cost me in the end. We have many years of general overall landscaping experience. With all the years of combined experience here at Knoxville Landscaping we have not had a project we couldn't complete in a timely manner. To see how Knoxville Landscaping Company can help with your landscaping issue. Please fill out the no obligation free instant quote form to the right, or give us a call at (865) 268-8527. ​Knoxville Landscaping Company is a locally owned landscaping company and is the premier provider of all landscaping and lawn care services in and around the Knoxville, TN area. We take pride in our work because to us, your curb appeal is our storefront. We are committed to making sure your landscaping needs are met because we too call the Knoxville area home. Here at Knoxville Landscaping Company we value going the extra mile to make sure our clients are happy each and every time. Knoxville Landscaping Company has provided the Knoxville area premier landscaping, yard maintenance, tree trimming, and general yard care for the past decade. We founded our company with one goal in mind—to provide the community with the premier full range landscaping service in the greater Knoxville area. With that belief in mind, we have been able to expand our team from a small two-person operation into a fully staffed landscaping company. Don’t see your looking for? Feel free to give us a call so we can discuss your landscaping needs! You will be provided a written estimate detailing what the project entails in terms of work that will be done and costs associated. We want to provide you with as much peace of mind as possible and to not have to worry about hidden costs. We have a combined many decades of general overall landscaping experience of all types of projects. We are confident we can meet your needs in a timely manner and up to your standards. As mentioned earlier, we take great pride in our work. We put the same amount of care into your yard as we would our own. Your yard is a showcase of our finished product—your satisfaction is our number one priority! It costs you absolutely nothing to receive a free quote! Here at Knoxville Landscaping Company we understand that each yard has unique needs, and you probably have questions and concerns directly relating to that. We offer both contract and non-contract landscaping services. Feel free to reach out to our friendly staff today and talk about your landscaping needs! We do our best to always make sure we meet the deadline we originally agreed upon having your landscaping work completed. If that requires our team staying later than normal to finish the job, then we are happy to do it! To see how Knoxville Landscaping Company can help with your landscaping needs, please fill out the no obligation, free instant quote form, or give us a call at (865) 268-8527. ​For example, if you had St. Augustine grass and allowed it to grow to 5 inches, but corrected this to the standard height of 2-3 inches, this would be too drastic of a change to the eco system of your lawn. This creates stress on your yard and promotes a negative environment allowing disease or weeds to grow. Repairing a damaged lawn is possible, but at a cost. By prioritizing weekly mows you can be sure to save yourself a lot of time and money. Ideally, you should be sure to mow your lawn at least every 10 days. If you’re unable to mow every 10 days, be sure to adjust your lawn mower height to allow appropriate correction height for your grass to make sure to keep it healthy. Pro Tip!! Ever had lawn envy at a professional baseball field or at a nice golf course? Frequent mowing is the number one reason why their lawns always look so perfect in comparison to the lawns in your neighborhood. Mow your lawn twice a week to have the best-looking lawn around! Fertilize consistently. Getting on a maintenance schedule for fertilization will give your lawn the nutrients it needs on a consistent basis. Just like the human body, it performs better when it has healthy food. Fertilizer is food for your lawn! Don’t starve your lawn—your yard will flourish by maintaining its health. Although, be mindful about over fertilization. This can dehydrate your lawn, essentially burning it. Even if you’re lucky enough to not burn your lawn from over fertilization, it can be the root cause for many other lawn problems. This can stimulate lawn growth, which we know can be problematic if you’re unable to keep up with the number of mows needed. Thus, create a viscous cycle scalping your lawn, which then requires extra TLC and dollars spent. Forget bagging your grass clippings. Use this as free mulch for your lawn! Many of the nutrients your grass needs can be found from within. Utilize this free resource and your lawn will thank you for it, as well as your pocket book. Keep those blades sharp. Dull blades can actually cause a lot of damage to your lawn. This can cause the lawn mower to rip the grass out instead of cutting it, thus making your lawn more susceptible to disease and further damage. Choose the best landscaping company! Choose to work with us here at Knoxville Landscaping Company and you will be glad you did. The theme we’re seeing here when it comes to the best lawn care practices is regularly scheduled maintenance. We know it can be tough to keep up with this with the business of life. We are committed to keeping your lawn and landscaping needs looking great, and helping you keep a beautiful, healthy lawn! Knoxville Landscape design Company is the premier carrier of all landscaping services and lawn care services around Knoxville, TN.Below at Knoxville Landscape design Business we head out of our means to earn certain you the client more than happy 100% of the time. Knoxville Landscaping Business has actually provided the premier landscape design, yard maintenance, tree trimming and also basic yard take care of previous decade. Knoxville Landscape design Firm was established on with one objective in mind-to provide the area with the premier complete range landscape design service in the higher Knoxville location. Keeping that belief we have actually had the ability to expand from a small two person operation into a completely staffed landscaping business.With the growth we have the ability to care for virtually any type of landscaping problem you might have.Right here is a list of several of the landscaping solutions given by Knoxville Landscape design Company. If you don't see what you are seeking in the checklist above. Do not stress, we more than likely have the knowledge along with the capacity to care for your landscape design need. We take wonderful pride in using 100% client service, 100% of the moment. It impresses us how many entrepreneur have neglected this small truth. "Without the customer, a local business owner isn't needed." You will be supplied written quote outlining exactly what will be done. You do not need to worry about exactly what is mosting likely to be done as well as how much is this mosting likely to cost me in the long run. We have years of basic overall landscape design experience. With all the years of mixed experience below at Knoxville Landscape design we have not had a job we could not finish in a prompt way. We take great satisfaction in our job. We placed the kind of satisfaction you would see in our backyards in your lawn. We desire everyone to notice that your lawn is well landscaped and always looks great. Those are only 3 reasons we can consider of the top of our head today. We promise there are numerous various other needs to provide us a possibility. To see how Knoxville Landscape design Firm can aid with your landscaping problem. Please fill out the no commitment totally free split second quote form to the right, or give us a call at 865-268-8527. Knoxville Landscape design Company is a locally owned landscape design company and is the premier provider of all landscaping and grass care solutions around the Knoxville, TN location. We take satisfaction in our job since to us, your curb allure is our storefront. We are devoted making certain your landscape design requirements are met due to the fact that we also call the Knoxville location home. Below at Knoxville Landscaping Business we value going above and beyond making certain our clients enjoy each and every time. Knoxville Landscaping Business has provided the Knoxville area premier landscape design, backyard maintenance, tree trimming, and also basic lawn look after the past years. We established our firm with one goal in mind-- to supply the neighborhood with the premier full variety landscape design service in the better Knoxville location. With that said idea in mind, we have actually had the ability to expand our group from a small two-person procedure right into a completely staffed landscaping business. Don't see your trying to find? Don't hesitate to give us a call so we can review your landscaping needs! We take excellent satisfaction in supplying the most effective client service, 100% of the moment. It astonishes us the amount of company owner have actually neglected that, "without the customer, a local business owner isn't really required." You will be supplied a created estimate outlining what the job entails in regards to work that will be done as well as expenses associated. We wish to offer you with as much satisfaction as possible and to not need to bother with hidden expenses. We have actually an incorporated numerous years of basic overall landscaping experience of all kinds of projects. We are certain we can meet your requirements in a timely fashion as well as up to your criteria. As pointed out earlier, we take great pride in our job. We placed the exact same amount of care right into your yard as we would certainly our own. Your backyard is a showcase of our finished item-- your complete satisfaction is our top priority! Exactly what does it cost to not have the best landscape design solution in Knoxville?" A much better concern to ask might be, "Just what has it cost me to not have worked with the best landscape business in Knoxville?" It costs you definitely nothing to get a complimentary quote! Right here at Knoxville Landscaping Business we comprehend that each backyard has one-of-a-kind requirements, as well as you probably have concerns and also concerns straight relating to that. We provide both contract as well as non-contract landscape design services. Feel free to reach out to our pleasant team today and also discuss your landscaping needs! We do our ideal to always make certain we meet the due date we originally decideded upon having your landscaping work finished. If that needs our team staying later than regular to complete the task, after that we enjoy to do it! To see exactly how Knoxville Landscaping Firm could aid with your landscaping needs, please complete the no obligation, cost-free immediate quote form, or give us a call at -LRB-865-RRB- 268-8527. Mow regularly. We recommend trimming your yard on a constant, once a week basis so your lawn grows thick and also dense. Disregarding weekly mows avoids the yard from expanding expensive which blocks out the sunlight, as well as develops voids which permits weeds to grow. By permitting your grass to expand also long, this commonly leads to the tendency to over cut your grass as well as totally scalps your yard. For example, if you had St. Augustine yard and permitted it to grow to 5 inches, yet remedied this to the typical elevation of 2-3 inches, this would be also radical of a modification to the eco system of your grass. This produces stress and anxiety on your backyard as well as advertises a negative atmosphere permitting disease or weeds to expand. Repairing a damaged grass is feasible, yet at an expense. By prioritizing once a week mows you can be sure to save on your own a lot of time and money. Preferably, you should be sure to mow your grass at least every 10 days. If you're not able to trim every 10 days, make certain to change your mower height to enable ideal modification height for your grass to make certain to keep it healthy. Pro Tip!! Ever had yard envy at an expert baseball field or at a wonderful fairway? Constant mowing is the number one reason why their yards always look so ideal in contrast to the lawns in your community. Cut your grass twice a week to have the best-looking lawn around! Feed regularly. Jumping on a maintenance schedule for fertilizing will provide your yard the nutrients it requires on a constant basis. Much like the body, it performs far better when it has healthy and balanced food. Fertilizer is food for your grass! Do not starve your grass-- your yard will certainly thrive by maintaining its wellness. Although, be conscious regarding over fertilizing. This can dehydrate your yard, essentially shedding it. Even if you're lucky adequate to not shed your grass from over fertilization, it can be the root cause for many various other yard troubles. This could boost grass development, which we understand can be troublesome if you're not able to stay on par with the number of mows required. Therefore, develop a viscous cycle scalping your lawn, which after that needs added Tender Loving Care and dollars spent. Fail to remember landing your yard clippings. Utilize this as cost-free mulch for your grass! A lot of the nutrients your yard requires can be found from within. Use this complimentary source and your lawn will certainly thanks for it, along with your pocket book. Maintain those blades sharp. Dull blades can actually create a lot of damages to your grass. This can cause the lawn mower to tear the grass out rather than sufficing, hence making your grass a lot more susceptible to condition as well as additional damage. Pick the best landscape design firm! 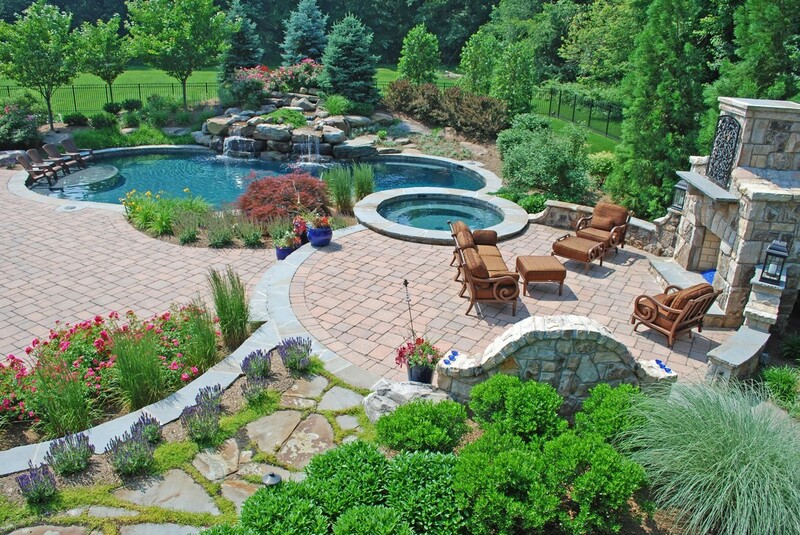 Prefer to work with us below at Knoxville Landscape design Firm and you will be glad you did. The motif we're seeing here when it comes to the most effective yard care practices is frequently scheduled upkeep. We know it can be tough to stay up to date with this with the business of life. We are dedicated to keeping your yard and also landscape design needs looking wonderful, as well as helping you maintain a lovely, healthy grass!